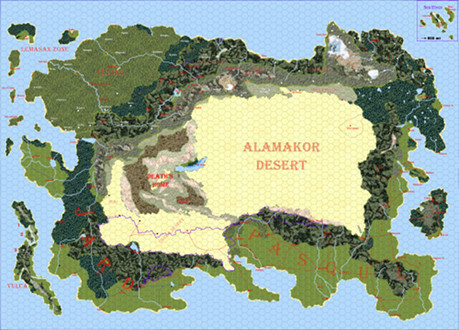 James Claypool has redrawn the entire map with a lot of detail and all place names. 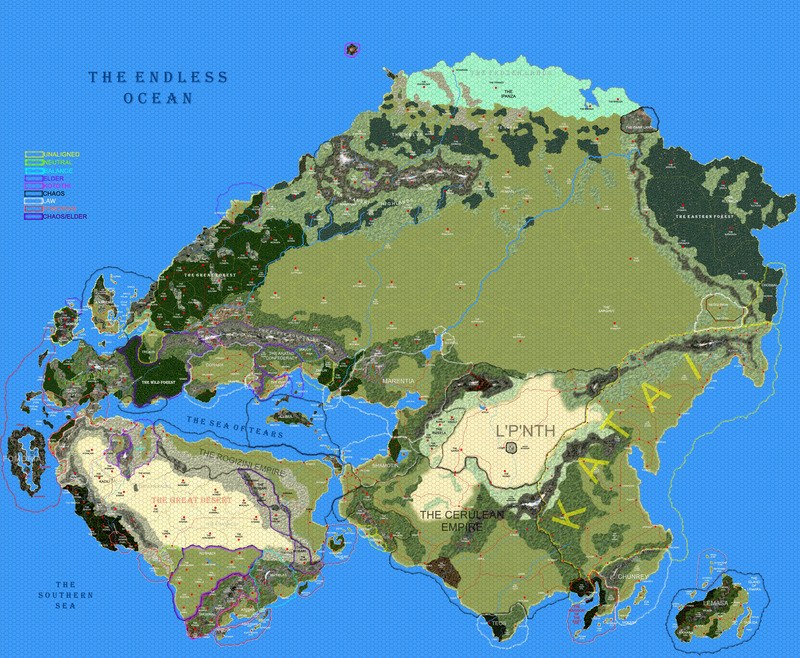 The full map of the main continent and western lands are available. 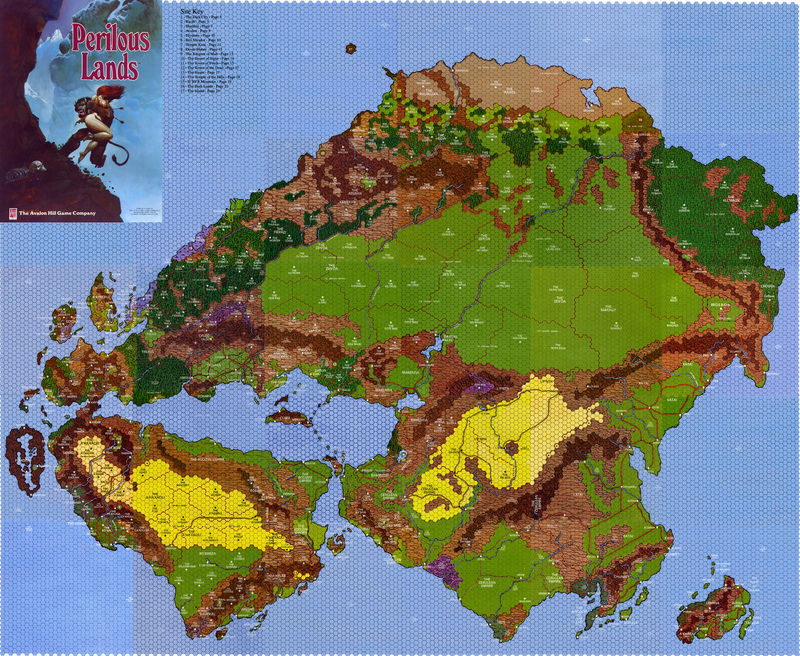 All map sections stitched together in high-res. Newly drawn map in high-res.